When you think about architecture and jewellery manifestations, do not think too hard; think Catherine Hendy. With designs that focus on form, line and repetition, her geometrical and simplistic style is truly architectural in nature. 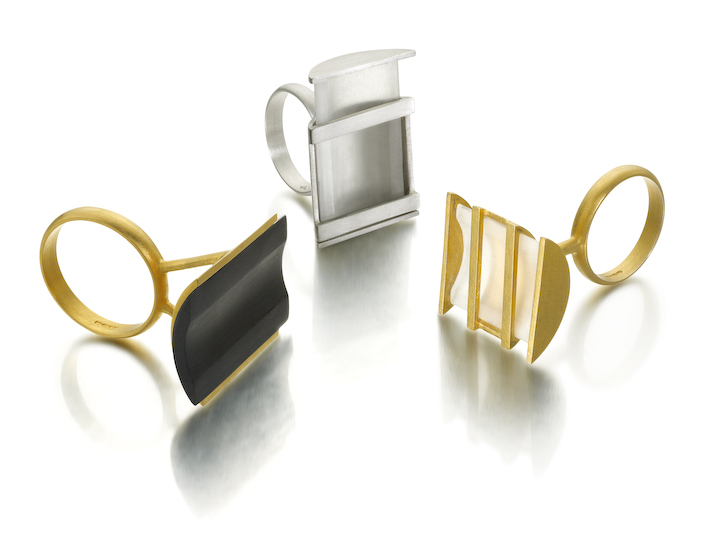 Hendy’s jewellery has been honoured with awards, from Goldsmiths to Kyte to the British Jewellers Association. We immediately fell in love with her linear kinetic series of rings; the true art of silversmithing is demonstrated through these sculpted pieces. They are so elegant that they would fit with any woman aiming to create that timeless classic image. 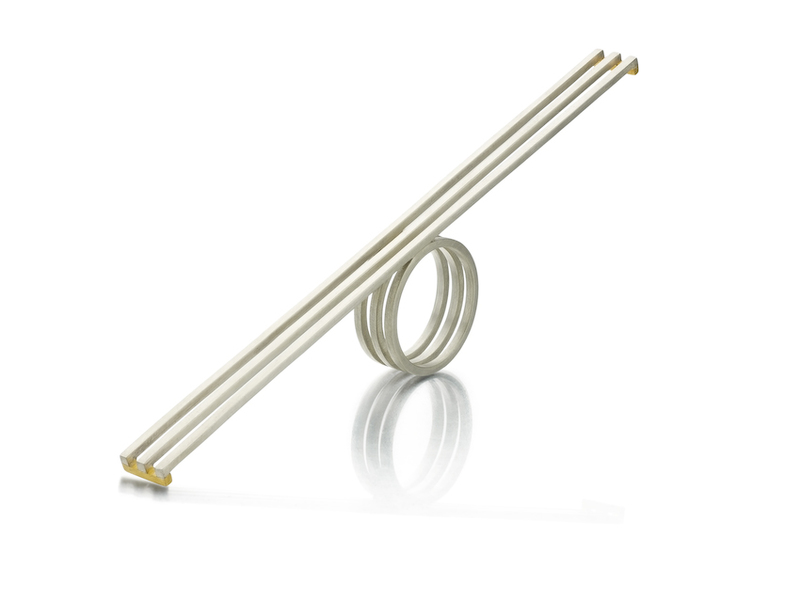 To further explore Hendy’s pieces, let us look at the line form and see-saw ring made with 18-carat gold and plated in silver. This piece encapsulates a fun and childish theme of the playground through the adult world of classically shaped jewellery. Hendy is not just about rings, though I adore her line and form rings – she also generates cleverly detailed broaches from silver and gold that all have brilliant linear forms. Also, her earrings would suit anyone with a definite up-and-coming fashion edge. Her bracelets are a little bit of extra fun, and I urge you to peruse her gallery by clicking here.